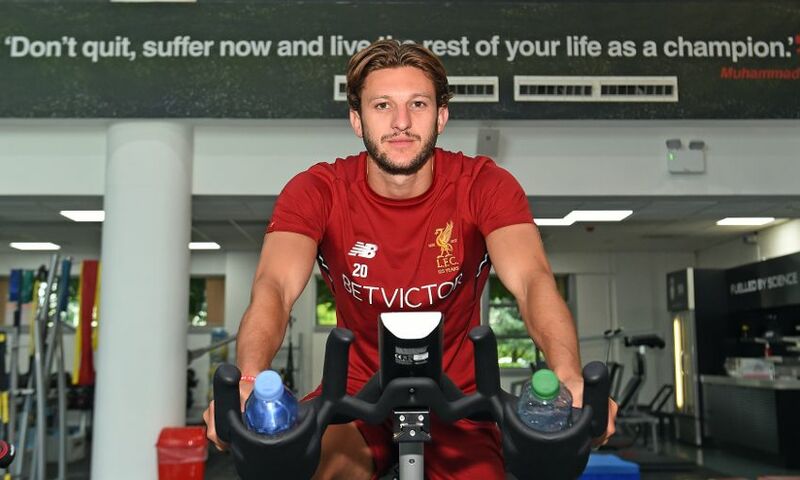 A couple of weeks of withdrawal symptoms are over for Adam Lallana as the Liverpool midfielder returns to Melwood in prime shape to attack the new season. The England international was back at the club’s training base on Tuesday morning after an extended 2016-17 campaign that saw him represent his country in early June. Lallana was accompanied by Philippe Coutinho for an opening day punctuated with conditioning tests and assessments overseen by the Reds’ medical staff. The No.20 was aided by the work he had already done on a personal basis during the summer break – which he considers crucial in gaining an edge at the highest level. “I’ve had a great summer. It’s always nice to relax with your family and recharge the batteries,” Lallana told Liverpoolfc.com at Melwood. “But I’m more than ready to come back now. You get withdrawal symptoms! I’ve slotted back into club life as normal. “Everyone ticks over in the summer – it’s important. We’re given a programme and it’s important you stay ahead of the game as much as you can. “The levels nowadays are always rising and people always want to improve and be better. We have our own tests when we come back to Melwood, to see how fit we are and our lactate levels. One might suspect that the first two pre-season friendlies, at Tranmere Rovers and Wigan Athletic this week, will perhaps come too early for Coutinho and Lallana. But the latter is hopeful their fitness levels may allow for an opportunity to feature before Liverpool depart for the Premier League Asia Trophy on Sunday afternoon. He said: “If the lactate levels say we are OK – which I’m sure we are – then hopefully we can maybe get a bit of game time on Friday. I’m not sure what the manager is thinking. Lallana wasn’t away from the game for very long but the 29-year-old revealed a refreshed and renewed enthusiasm for resuming work. “It’s always a bit strange – you go from spending every day with your teammates and then you don’t see them for six or seven weeks,” the Englishman added. “It’s nice to be back with them and get working hard and get fit. The season is not too long away already. Don't miss a moment of pre-season with LFCTV and LFCTV GO - click here for details on watching every game.